The United Arab Emirates will allow foreigners to obtain extended residency visas after they retire, a major policy shift designed to give expatriates a bigger stake in the economy. However, expats must own a property valued at around $545,000 to qualify. 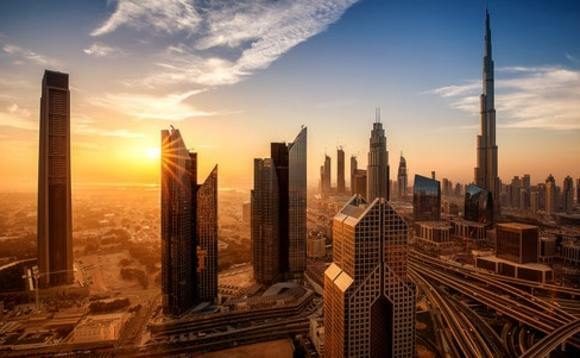 The UAE cabinet approved a law to provide special residency-visa privileges for expats retirees over the age of 55 years for a period of five years, with the possibility of renewal, according to specific conditions. The system includes a five-year renewable visa for pensioners over the age of 55. In order to apply, the retiree must own a real estate investment worth Dhs2 million ($544,510), have financial savings of more than Dhs1 million ($272,255) or proof of income of more than Dhs20,000 ($5,445) a month, according to state-run WAM news agency. Applications will be received from 2019. Current legislation forces expatriates to leave when they reach the retirement age, between 60 and 65 years depending on the employer. Once implemented, the move would mark a major step for a member of the six-nation Gulf Cooperation Council that typically doesn’t allow expatriate workers to stay beyond the period of their work permit. “Improving the competitiveness of our country is a journey that has no finish line,” said Sheikh Mohammed bin Rashid Al Maktoum, the UAE vice president and prime minister, and ruler of Dubai. Earlier this month, Qatar – still under blockade – made permanent residency an option for a limited number of foreigners, a step that would grant them access to a generous welfare system and commercial rights previously reserved for citizens of the gas-rich nation. The new law could also help prop up the real estate market of Dubai, the federation’s second-wealthiest emirate, after Abu Dhabi.